The CARF accredited spinal cord injury system of care at Bacharach Institute for Rehabilitation offers a complete package of services for both patients and families. Spinal cord patients who choose Bacharach Institute for Rehabilitation are evaluated by an interdisciplinary team of clinicians to develop a plan of care. Under the guidance of a Bacharach doctor of physical medicine, each patient is taught the skills that will provide the maximum level of function and independence. Each patient is unique, and each patient recieves a personalized care plan to address his or her specific therapy needs. Bacharach’s spinal cord continuum of care is community based. Our spinal cord patients live in South Jersey where Bacharach is located. From the first day of care, it is easy for families to travel to us and spend time with their loved one. Once discharged, our patients may easily access outpatient services and the care of our doctors of physical medicine. Our spasticity clinic and wheelchair clinic are found at our main campus. The Spinal Cord Support Group is vibrant and active. Unlike other care settings, spinal cord patients at Bacharach really do have the benefit of a lifetime of care. Bacharach’s pressure mapping system maps patient pressure points to selcec a wheelchair cushion for proper pressure relief. Bacharach’s certified prosthetists and orthotists can evaluate and measure patients at Bacharach during the inpatient stay. After fabricating the necessary brace, splint or device, they return to fit the item while the patient is here. The Klinghoffer Neurorecovery center has thirteen robots that build strength and promote functional gains after spinal cord injury. Both gait-training and upper extremity assistive devices are available and have shown great results in promoting earlier and longer lasting neurorecovery. Bacharach gives each spinal cord patient a copy of Yes, You Can, a self-care resource from the Parlyzed Veterans of America. Bacharach’s spinal cord team matches new patients with an established spinal cord patient of the same age and gender and walk of life if possible. It gives new patients someone to turn to for infomation and support and someone who can demonstrate what skills look like when they are mastered. Each patient has an entire team of caregivers, including rehabilitation doctor, nursees, PT, OT, psychologist, case manager, dietitian and potentially others. The Patient Evaluation Conference team meets weekly to review progress and discuss goals. After a period of training, the family takes the patient home for the day to practice skills they have learned. When the patient returns to Bacharach, the staff can review the feedback and concentrate on any skills that need improvement. To perform a home evaluation, a physical therapist, and occupational therapist and the patient go to the patient’s home to evaluate it for accessibility and patient function in the home. They then generate a report with recommendations for modification. Bacharach has a heated therapy pool suitable for aquatic therapy. It is often used by spinal cord patients to improve strength and balance and respiratory function. Bacharach doctors of physical medicine are experts in managing spasticity. Each patient is evaluated to determine the cause, effect and severity of the spasticity. Treatments include physical therapy, bracing and splinting, oral medications, intrathecal baclofen therapy, and injections. Intrathecal Baclofen Therapy (ITB) is a treatment for spasticity when oral medication is not effective. Instead, ITB delivers the medication directly to the spinal cord through an implanted pump. Bacharach doctors monitor, calibrate and refill the implanted pumps. A recreational therapist may accompany a patient and a family member on a trip outside the hospital to try out the patient’s skills in the community. They may go to a store or a restaurant or a similar destination to evaluate their progress. Bacharach’s spinal cord group holds a meeting the third Thursday of each month from 4:00 to 6:00 p.m. Sometimes there are events or outings, and sometimes the meeting is a chance to socialize and perhaps hear a speaker on a topic of interest. In any case, there is always food and laughter and camaraderie. Call l609-748-5411 for information. The South Jersey Spinal Cord Injury Support Group-Bacharach Facebook page is just for members of the group, but all members are welcome. It is a vibrant and energetic forum filled with great information relevant to the group. Bacharach is a training center for the ReWalk, a robotic exoskeleton that allows some people with spinal cord injuries to walk again. The ReWalk has great benefit for cardiopulmonary improvement and for muscle strengthening. Bacharach holds an Ability Fair each summer with more than 60 vendors with products and services for people with physical challenges. From wheelchair vendors to accessible vehicles to home modification experts and therapy animals, the Ability Fair invites everyone to be inspired. Bacharach’s wheelchair clinic is used by outpatients to evaluate their current wheelchairs for repair or modification. The patient, therapist and wheelchair vendor collaborate and then work with the patient’s insurance provider. Members of the spinal cord group are welcome to participate in weekly Unified Swim and Paddling Team sessions in the pool at the Ocean City Community Center, or in the open water during the summer months. The team is led by Bruckner Chase, and with the help of volunteers, any one wishing to participate can enjoy the benefits of time in the water. Bacharach’s spinal cord injury rehab center offers a complete inpatient spinal cord injury system of care for adults and adolescents, and an interdisciplinary spinal cord outpatient medical rehabilitation program for adults, adolescents and children. Each patient will work with a team of clinicians including a physiatrist, physical therapist, an occupational therapist, speech therapist, psychologist, therapeutic recreation specialist, dietitian, and round the clock nursing. The team will work to maximize mobility,while also promoting safety and management of the activities of daily living. Patient and family education are a priority. The team will focus on improving strength, balance and endurance to promote independence. Each patient will be individually assessed for spinal cord injury adaptive equipment. The spinal cord injury team at Bacharach is robust and multidisciplinary. Clinicians from all the disciplines collaborate to offer individualized education, training and care. The goal for patients with spinal cord injury is to prepare them and their families in every way possible for optimal function and independence. Inpatient Rehabilitation Program – Hospital: Spinal Cord System of Care (Adults) and (Children and Adolescents). Interdisciplinary Outpatient Medical Rehabilitation Programs: Spinal Cord System of Care (Adults) and (Children and Adolescents). 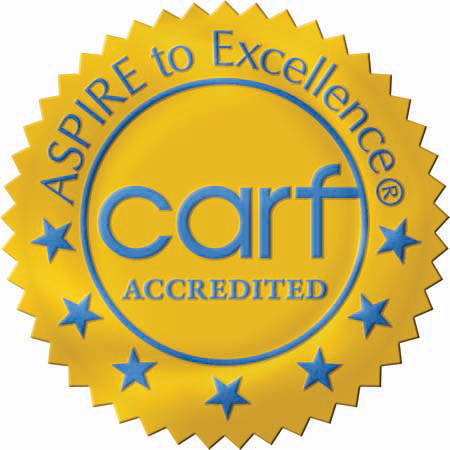 In 2018, Bacharach served 77 spinal cord injury inpatients through our CARF-accredited comprehensive spinal cord injury system of care and 16 outpatients. The average number of outpatient visits per spinal cord program outpatient admission is 27.6 visits. For more information, call (609) 652-7000 or e-mail us.